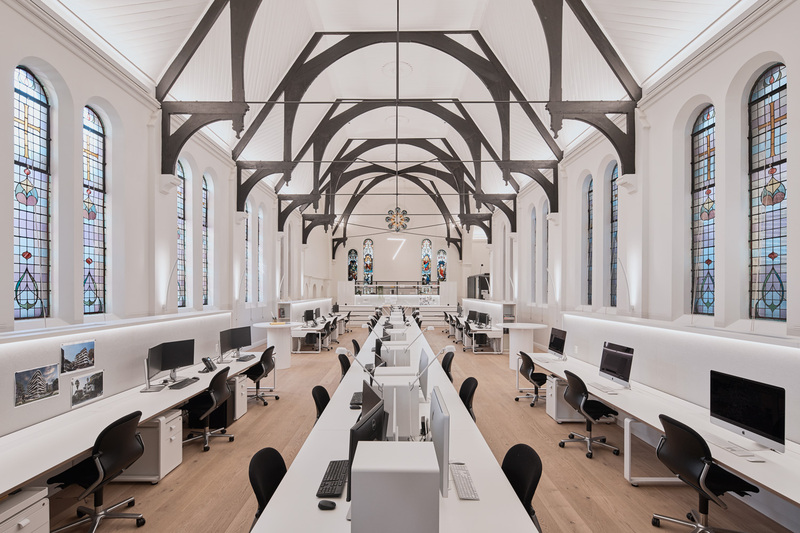 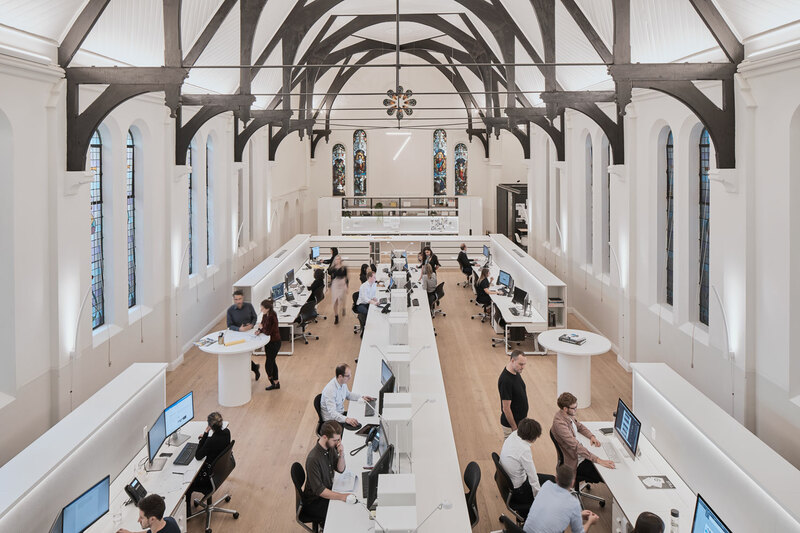 Squillace Architects have transformed an old church at 80 Albion St, Surry Hills into a mixed-use building that also houses their own studio space. 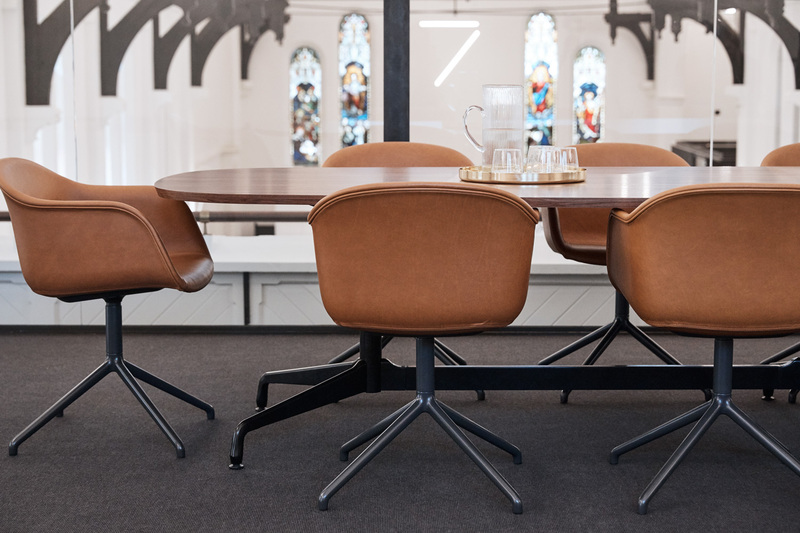 “After endless searching for a new home for our growing team, we finally set our hearts on an unused church in Surry Hills,” said Squillace Architects. 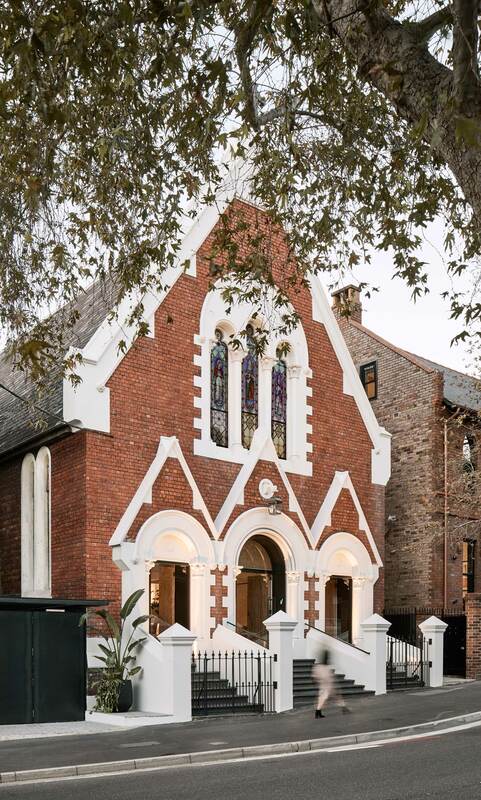 Through the doors of the overgrown and neglected façade lied an eerie empty shell of what was once a lively church. 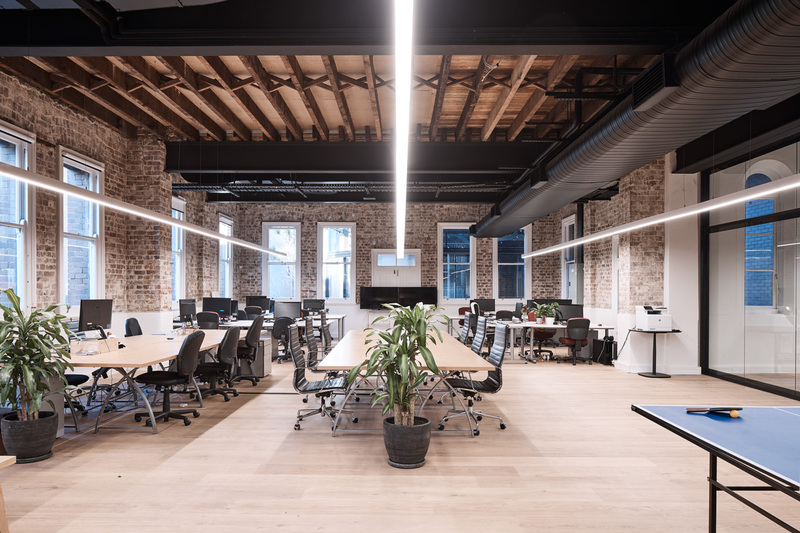 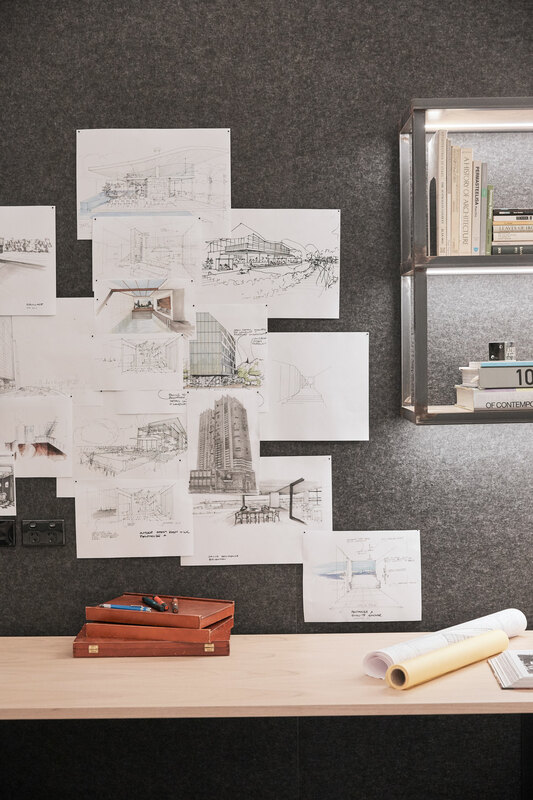 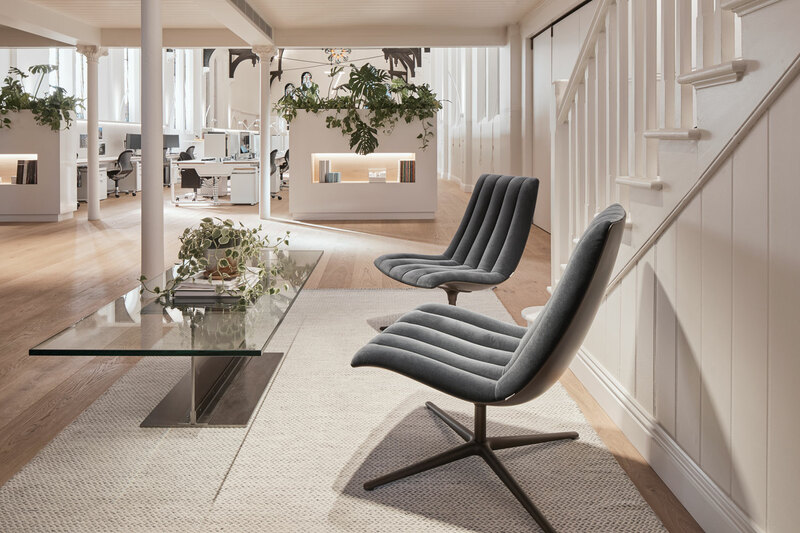 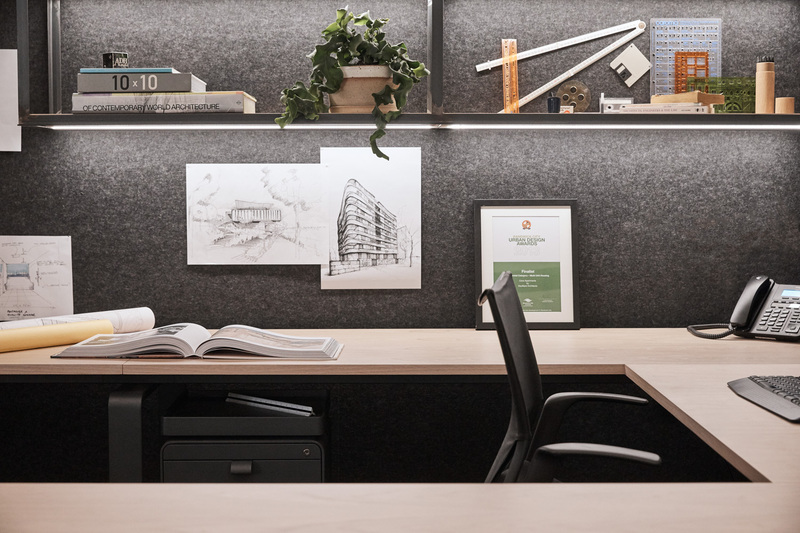 “Our director, Vince Squillace, could see the potential and possibilities of the space and set out to transform the building into the new Squillace office.” As they stripped back the layers to reveal the original heritage fabric, space began to come to life. 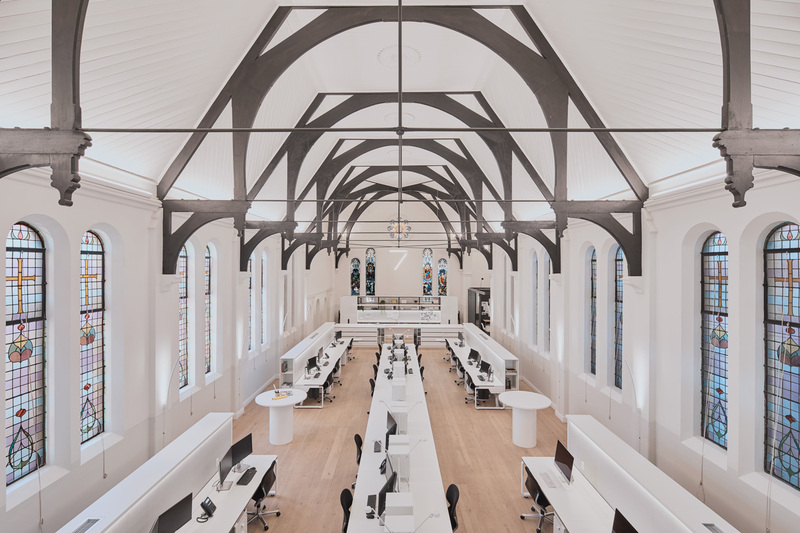 The large open floor plan enabled them to create an ideal working environment to inspire creativity. 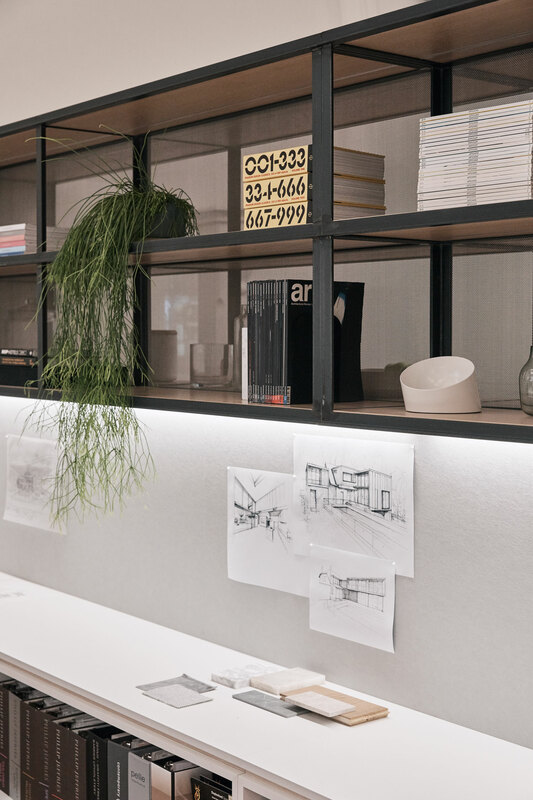 Strategic planning saw the formation of spaces for collaborative thinking, meeting rooms, model making, breakout areas, and more. 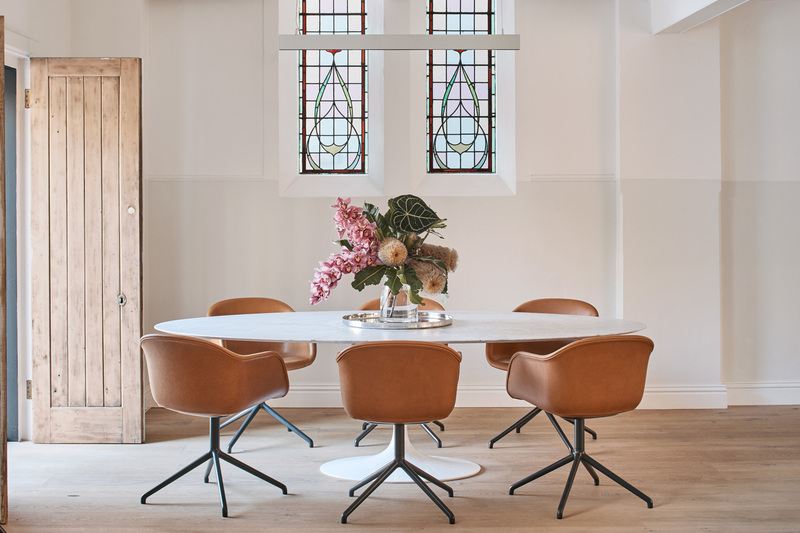 “As we undertook the extensive renovation project, we wanted to achieve a contrast between the key existing features and new contemporary additions. 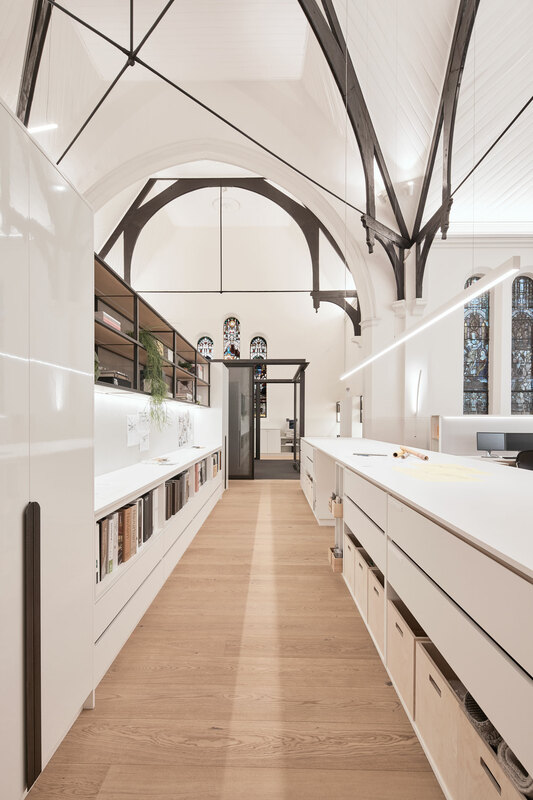 A minimalist design palette of white, steel and glass allowed this design intent to be realised,” they said. 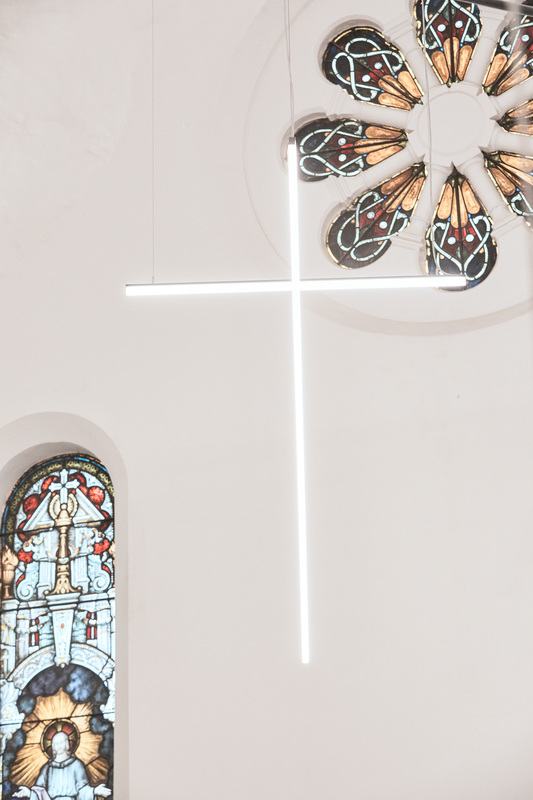 This ultimately enabled the original stained glass windows to read as artworks within the space; the iconic feature within the solemn interior. 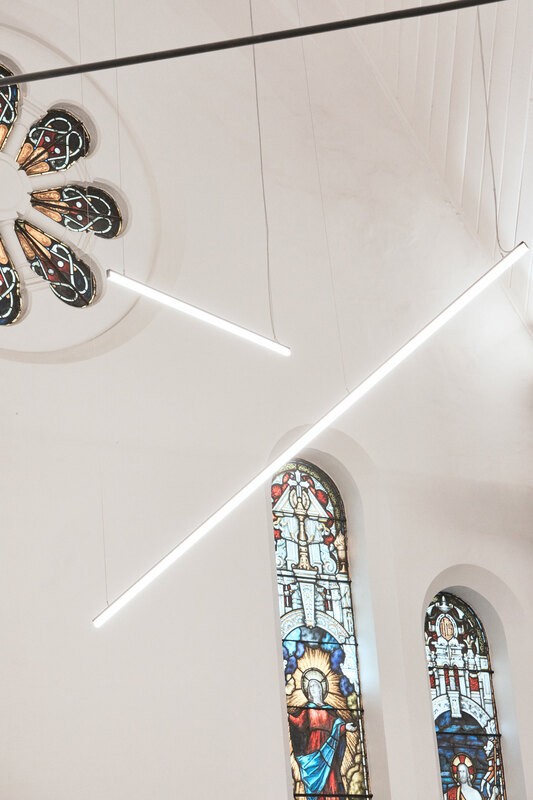 Squillace Architects also felt it was essential to maintain a sense of symmetry and repetition as a fundamental aspect of church design. 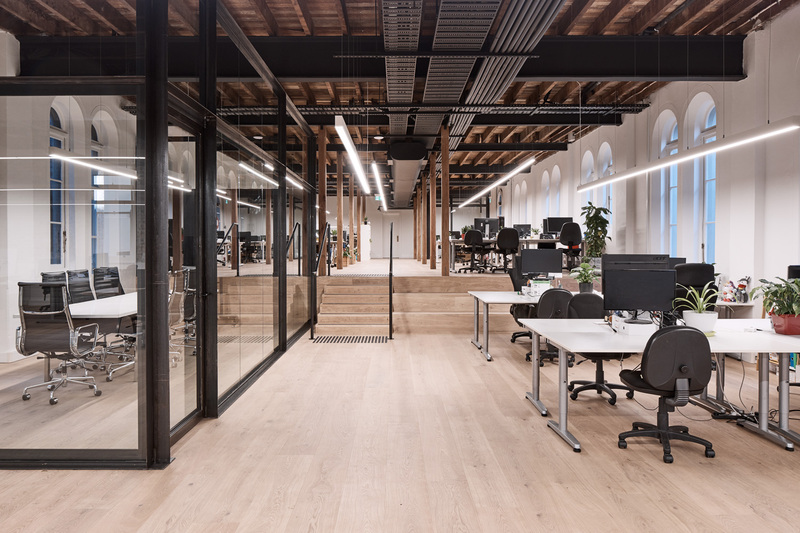 The soft, light and harmonious interior allow the team of designers and architects to work in a motivating and inspiring space.